Excerpts from . . . Published in Saskatchewan History, Fall/Winter 2011, Volume 63, No. 2, p. 14 ff. 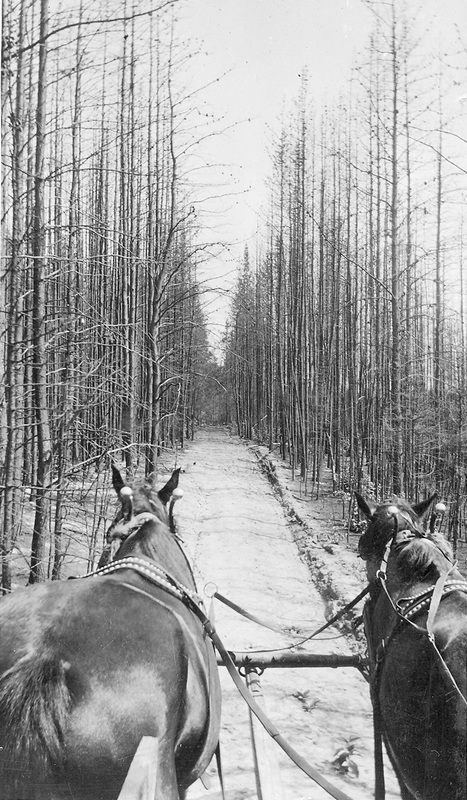 In August 1919, two young women took a vacation from their jobs at the University of Saskatchewan and embarked on a wagon, canoe and train journey which started and ended in Prince Albert, and which carried them along a large section of the historic ‘voyageur highway’ from Stanley Mission in Saskatchewan to Le Pas, Manitoba – a canoe route traveled by fur traders from both Montreal and Hudson Bay since the 1770s. 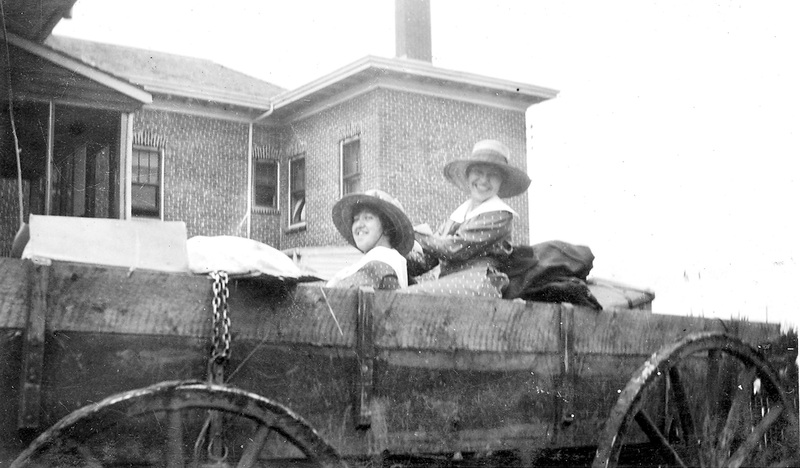 Christina Henry and Annie ‘Nan’ McKay were experienced adventurers who had traveled together before; for example, they had taken hiking trips in the Rocky Mountains prior to this excursion. The two women traveled alone with a First Nations freighter and then with two Indian guides on the first leg of the trip from Prince Albert to La Ronge, where they were joined for the La Ronge to Le Pas segment of the journey by Nan’s father, Angus McKay, his wife (Nan’s stepmother) Margaret, and their children Marjorie and Wilfred…. Willie Bear, a Cree Indian called for us at 1 p.m. in a big farm wagon – no seats, no springs. Willie Bear, sometimes referred to as Billie Bear in other sources, was a member of the Little Red River Reserve north of Prince Albert. Little Red River Reserve was created as part of the 1897 Treaty 6 Adhesion, when the Montreal Lake band and the La Ronge band requested that some of their reserve be agricultural land located within the Saskatchewan River watershed, hundreds of miles south of their boreal home. 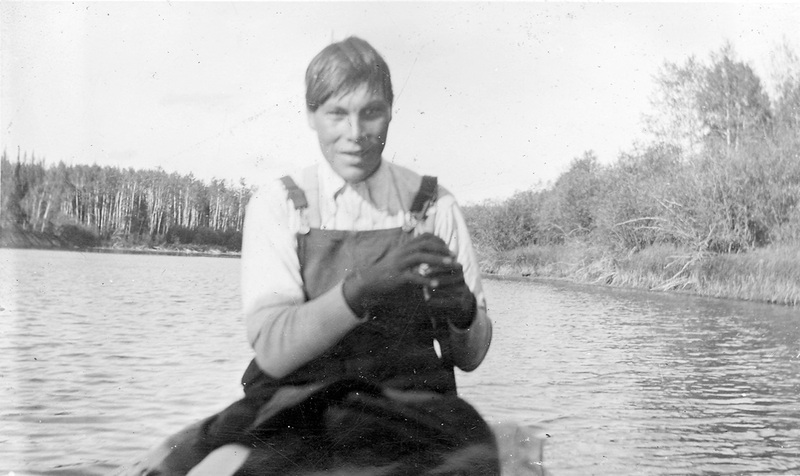 In addition to running a successful freighting business between Prince Albert and the Montreal Lake / La Ronge area, Willie operated a farm which was located on the Little Red River Reserve. Nan and Christina’s first night on the road was spent at Willie’s farm. 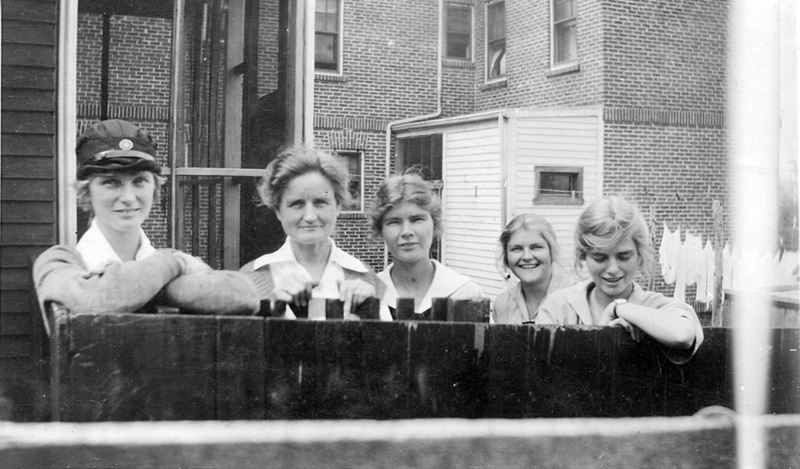 Mrs. Newnham and her four daughters waved good-bye to us from their garden fence. Not very far from Prince Albert we came upon miles and miles of burnt over woods – only blackened trunks left – a very sad sight – but the fireweed was springing up making a bright pink carpet for the black tree trunks. Christina and Nan rode through an area which was devastated by The Great Fire of 1919. This enormous fire (which was likely part of a complex of many large fires burning simultaneously) started in May 1919, and burned in an area in excess of 2.5 million hectares stretching from Boyle, Alberta to Prince Albert, Saskatchewan. Although accounts differ, current research suggests that the fire started from natural causes, a combination of low snow levels the previous winter, spring drought, and high winds stirred by lightning. The road was terrible rough – nothing but tree roots and rocks, bump bump bump. Historian Merle Massie has investigated the route taken by Christina and Nan, and believes that Willie Bear took them to Montreal Lake on the old freighting trail from Prince Albert, through Little Red River Reserve and through a forest reserve. This trail was normally used in winter, and would only have been passable in a dry spring or summer, such as was experienced in 1919. It would have been a very rough ride, so Christina’s complaints were likely not exaggerations. We went for miles and miles without seeing a house or building of any description. Every few miles we came upon bright little creeks winding in and out – not much like the muddy Saskatchewan River. Camped at Sturgeon River for supper and then pushed on. Arrived at Willie Bear’s farm at 11 p.m. and slept in our little tent which he set up for us…. Great preparations to get away today. Started at 11 a.m. Went over to the Mission to say goodbye to Mr. and Mrs. Hives. It began to rain just as we started out. We took Ida McKay, the little Indian servant girl home. There are eight in the family and they live in two tents. The mother is consumptive. McKay was a very common name in northern Saskatchewan, and it is easy to become confused. The woman described as being consumptive (suffering from tuberculosis) is the servant girl Ida McKay’s mother, not Nan’s stepmother, Margaret McKay. The two Indians in our canoe are John Moran (18 yrs) who married a widow with two children, and Jeremiah McKenzie. 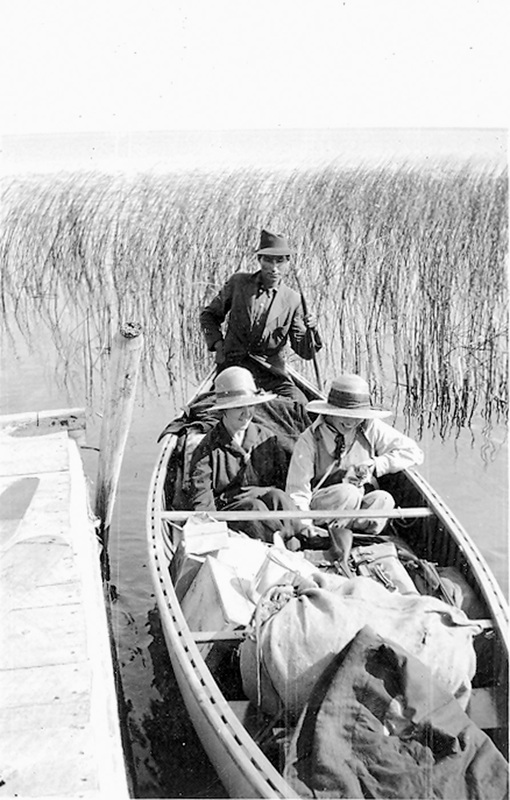 In the other canoe with Mr. and Mrs. Angus McKay, and their two young children – Marjorie about 6, and Wilfred (4) were Indians Colin Campbell (who didn’t understand much English) and Philip Morastie (the guide). Nan’s father, his wife (who was Nan’s step-mother), and their two children accompanied Nan and Christina on the La Ronge to Le Pas portion of the holiday. Descendants of Angus and Margaret McKay have speculated that this canoe holiday doubled as a way of getting Margaret close to a hospital as the due date of her baby drew close…. Got up almost with the sun. Put on our overalls. Gave the men quite a shock. When I was getting breakfast the Indians were around the fire and John spoke to the men and I think they dared him to say “good morning” for he turned right around and said “good morning, Miss Henry, lovely morning.” I think we are going to have a fair wind. It seemed as if we made portages all day. The portages were very pretty. – white birch trees and beautiful paths. Took a picture of the one - about 1/4 mile long. The second one, Nan and I climbed a very steep hill and the view from the top was magnificent, about the same as from the C.P.R. Hotel at Banff. Prior to this journey, Nan and Christina had done hiking holidays in the Rocky Mountains, so they would have been familiar with the sights around Banff. After this journey, they went on to attend the 1923 Alpine Club of Canada camp. In 1944, Nan was caught in a rock slide on a hiking trail in Banff National Park, and her back was seriously injured. She was on leave from work for 18 months while she recuperated, and afterwards she walked with the aid of two canes. We did not take our cameras up and the men were packed so could not go back to take a snap. After the second portage the scenery was lovely – lakes with pretty islands. After the lake we went into a stream about the width of the canoe -- the water was very low so we had to get out and walk. I think this waterway led to the Churchill River. It was an Indian trail (one step directly ahead of the other foot). We could not see the trail because of the high grass and it was quite an adventure. I was carrying Wilfred (4 years) on my back. The path was narrow and deep. Had supper at the outlet of this stream. Immediately there was another portage from which the view opened out into the most beautiful part of the trip. High banks and rock with birch trees on them. We camped soon after. It was moonlight and it would have been nice to go on. We sat by the fire and Mr. McKay told us stories of the Cree and Blackfeet Indians waging war on one another and stealing each others horses…. If you would like to read more about the “amazing adventures of Christina and Nan,” contact us to order a back issue of Volume 63, No. 2. The annotations for this article were researched and compiled by Duff Spafford, Nadine Charabin, Bonnie Wagner, Christine Charmbury, and Myrna Williams.